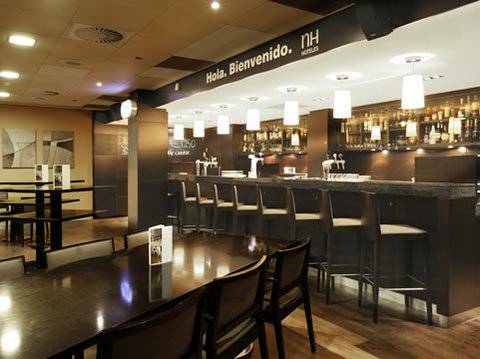 The NH Schiphol Airport is in the airport's business district, close to the A4 Amsterdam-Rotterdam/The Hague motorway. 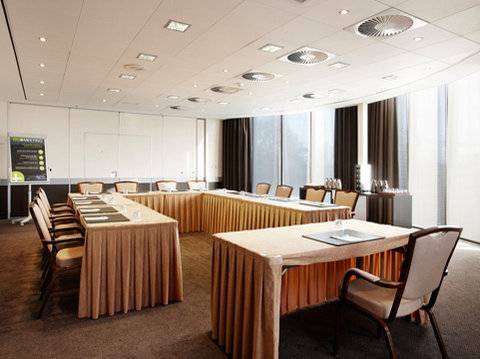 Just 20 minutes from the centre of Amsterdam, 15 minutes from the RAI Exhibition Centre and offering shuttle service (06:10 until 23:50 hours) to and from Schiphol Airport, costs are EURO 5,00 per person. 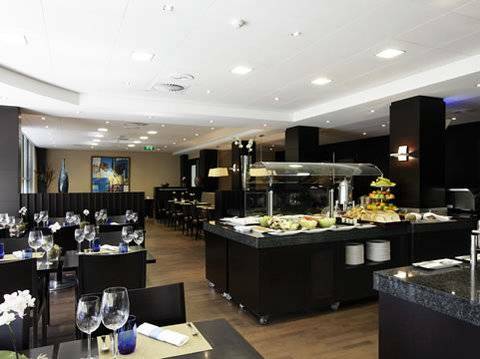 NH Schiphol Airport has 419 luxurious stylish rooms. 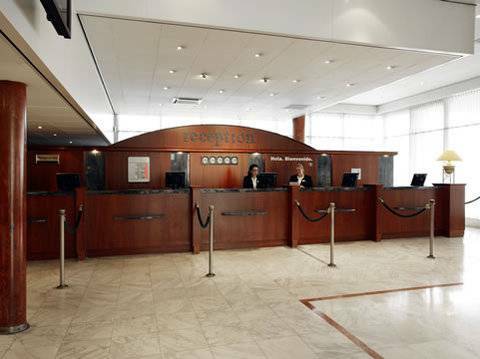 You can enjoy a wide range of 4-star facilities in a pleasant and comfortable atmosphere. A 6% city tax is to be paid at the hotel. 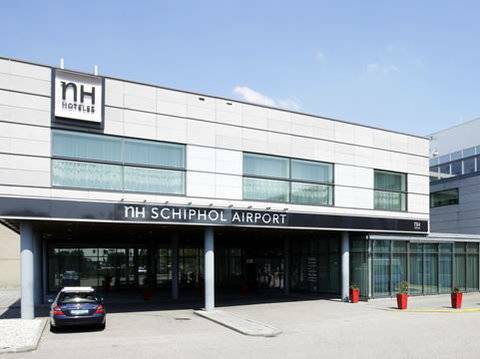 NH Schiphol airport is located next to Amsterdam Schiphol Airport. With the hotel shuttle the hotel can be reached in approximately 10 minutes, it runs from 06:10 to 23:50 hours and costs Euro 5,00 per person. 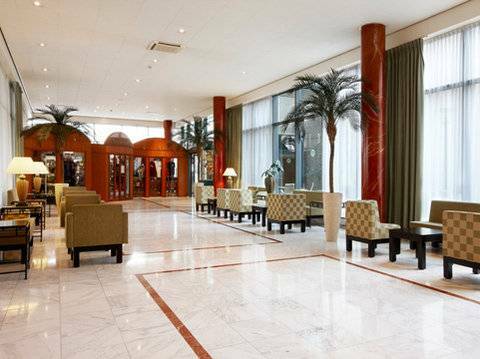 The hotel is also easy to reach from the trainstation at Schiphol, which has a direct connection with the Central Station of Amsterdam (it takes approximately 30 minutes). 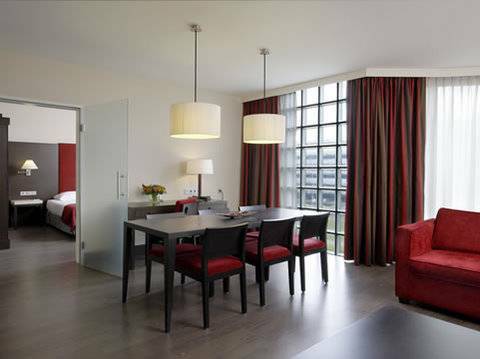 Shopping is possible at the shopping areas of Schiphol, Hoofddorp or Amstelveen, all within 7 km of the hotel. By car the beach of Zandvoort and the Keukenhof at Lisse are also easy to reach. 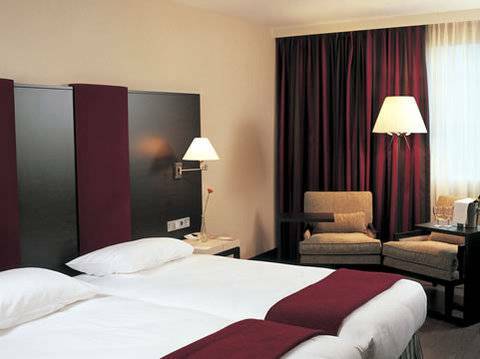 Standard - The standard rooms are decorated in modern styling with hardwood or carpeted floors and warm, relaxing colors. 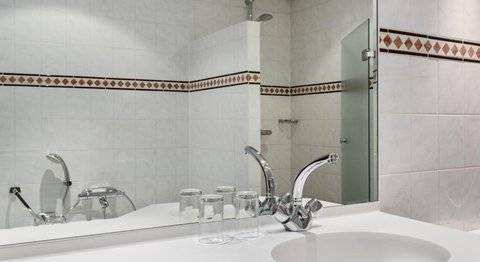 The rooms offer 1 twin or 1 double bed with, air-conditioning, Satelite TV, direct-dial telephone, hairdryer, iron and ironing board, mini-bar, pay per view films, safety deposit box in room, smoke detector, wake up service and work desk.